I got the car two years ago in November from Ballina. It was my first car, so I named it Tina. When I was 14, my sister’s boyfriend at the time had a MkII Cortina and he said to me that he wanted a MkI. 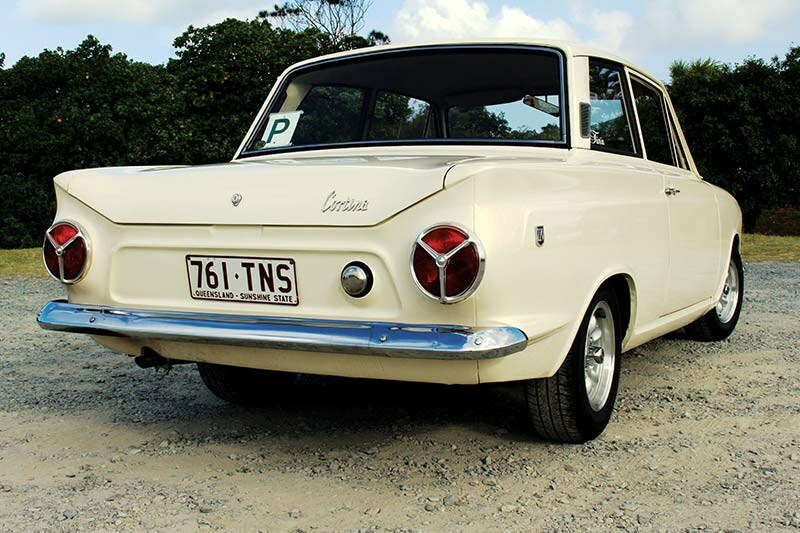 I asked what they looked like and he showed me a MkI Cortina, I’ve wanted one ever since. This one is all original except the paint. That was redone 17 years ago because it was scraped by a forklift on the roof. The engine is the original 1.2, and it hasn’t been rebuilt either. I’m hoping to use a lot of the same parts, but make it more reliable. At the moment it’s not very reliable, so I want to fix that. I do want to put bigger cams in it, and be able to drive it for longer without it overheating. I’ll probably repaint the engine bay the same colour as the body, because it never got resprayed so it’s still the original colour. 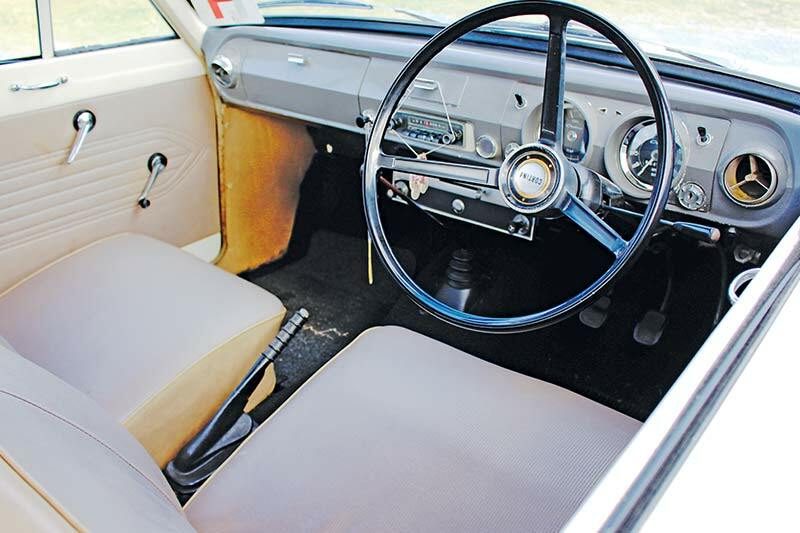 It drives well on the highway, but you have to drive slower because of the 4-speed. It sometimes overheats, and it doesn’t keep up with the other cars on the highway very well. It gets driven on the weekends, maybe every second week. It’s not hard to look after; I love with my dad and he helps me out a bit. It’s usually parked in the garage next to my sister’s car with a cover over it. We take it out when it needs a drive or there’s a car show on. During the drive back from Ballina it overheated, because it hadn’t been driven for a while. So we put a bigger radiator and a bigger fan on it just so it didn’t heat up as much. The first fan was like a tiny airplane propeller, so it’s got a fairly massive one now. Aside from the overheating problems there hasn’t been much wrong with it. I like it because it’s different to a lot of other older cars. I’ve grown up with old cars before, and when I saw this one I knew I liked it. 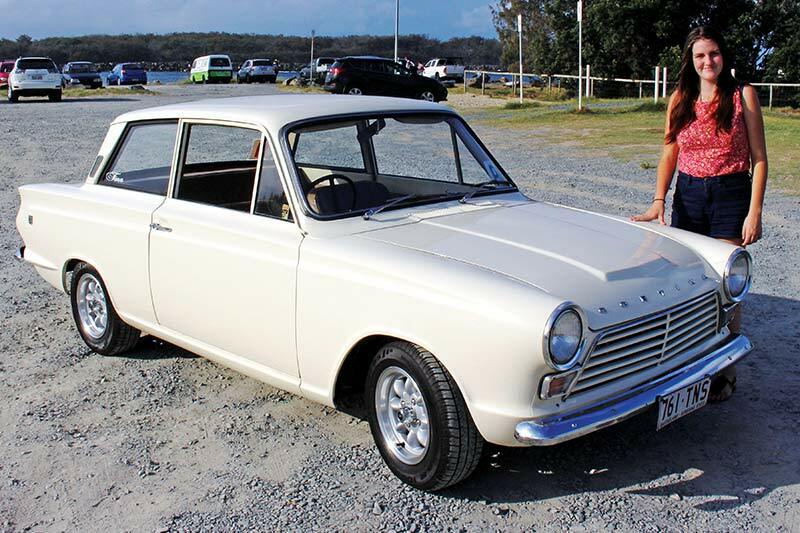 For example, other Cortinas have chrome grilles, but this one’s steel. It’s just different. Valuation guide: An original, good condition example could fetch upwards of 20k.